Between early December and April 9, CrossFit Defined in Lakeview and Lincoln Square raised money for Urban Initiatives through online crowdsourcing. Their fundraising efforts culminated in a competition where nearly 30 teams of 5 completed a series of physical fitness tasks that challenged them both physically and mentally. On an unseasonably cold and snowy day, the teams ran outside between several of the stations as well as completed 200 pull ups, burned 20 calories on rowing erg machines, and tackled a number of other challenges, all while passing around weighted objects. Urban Initiatives’ partnership with CrossFit Defined is quite fitting – the grit and determination that they demonstrated by waking up early and completing these challenges mirrors that of our students who eagerly get to school early to practice with their Work to Play teams. 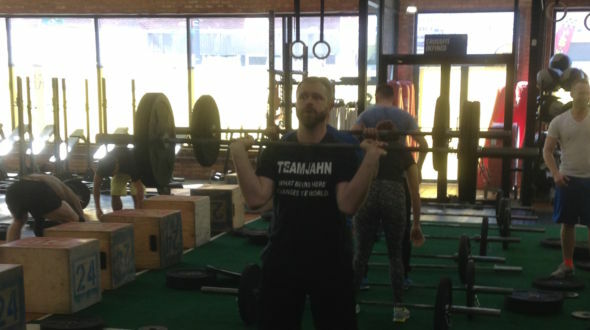 This partnership is especially sweet as one of the CrossFit Defined members is the principal at Jahn Elementary, one of Urban Initiatives’ longest running partner schools. Many of the family and friends of Jahn students donated before the event and attended the competition to show their support. 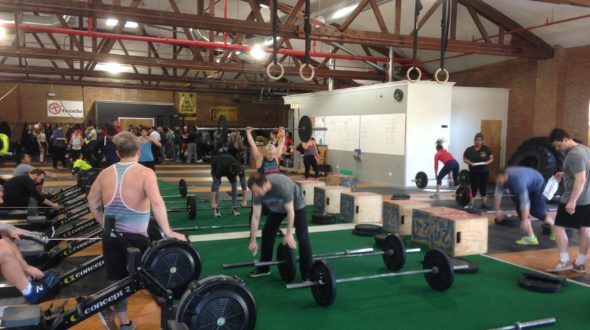 The CrossFit Defined community rose to the fundraising challenge, as they raised over $16,000 in a matter of months. Thank you to everyone who contributed! Urban Initiatives looks forward to furthering this partnership with such a strong and vibrant community.